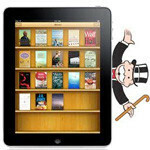 Several e-book publishers, specifically Hachette Livre (Lagardère Publishing, France), Harper Collins (News Corp., USA), Simon & Schuster (CBS Corp., USA), Penguin (Pearson Group, United Kingdom) and Verlagsgruppe Georg von Holzbrinck (owner of inter alia Macmillan, Germany), are under investigation by the European Commission to find out if they engaged in anti-competitive practices, with the assistance of Apple, which affected the sales of e-books. Prior to 2010, e-book resellers were able to sell e-books at whatever price they wanted, leading to Amazon offering a slew of content for $0.99, which many people speculated was actually costing them money, but establishing them as a leading seller. In 2010, coinciding with the release time of the iPad, the publishers in question all switch to a new pricing system, referred to as the “agency model”, which allowed the publisher to solely control the content price and gave the reseller a fixed percentage of the sale. This mass switch in pricing is what is believed to have triggered suspicion. In March 2011, the European Commission performed unannounced inspections at several companies and reportedly seized contracts and executives’ smartphones and computers. wow.. when it rains at apple, it pours. i4s issues, losing frivilous lawsuits, and now an anti-trust investigation?